Sweetwater Mayor Manuel Marono was removed as the head of the Florida League of Cities following allegations of bribery. Sweetwater Mayor Manuel Marono has been removed as the head of the Florida League of Cities following bribery allegations, and federal officials are now saying Marono was trying to get other mayors in on the scheme. The League of Cities announced the dismissal by sending an email to its members Thursday afternoon. Marono was arrested on Tuesday along with Miami Lakes Mayor Michael Pizzi on public corruption charges. Two lobbyists, Richard Candia and Jorge Forte, are also facing charges related to the arrests of Pizzi and Marono for schemes that paid the mayors thousands of dollars in bribes under a federal grant scheme, authorities said. And now, federal documents say the Sweetwater Mayor was trying to recruit other mayors for the bribery deal. "Marono, Candia and the UCE (agents) discussed taking the grant scheme to other municipalities... Candia indicated they needed to identify strong mayors for the scheme," federal officials said. Florida Gov. Rick Scott said he has suspended Miami Lakes Mayor Michael Pizzi and Sweetwater Mayor Manuel Marono from office after they were arrested by the FBI on public corruption charges Tuesday. Later on Tuesday, police escorted Marono's family members to the door of his Sweetwater home, while a line of police vehicles protected his privacy on the curb. Attorneys Kendall Coffey and Amanda Maxwell and U.S. Attorney Wifredo Ferrer discussed the case. 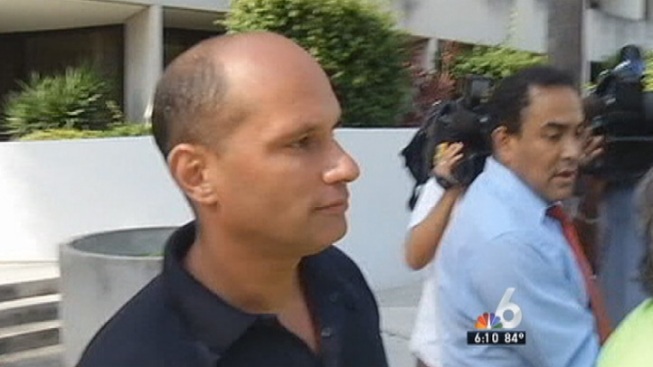 Marono spoke with NBC 6's Steve Litz recently about his salary. Michael Steinbach, the FBI Special Agent in Charge in Miami, said mayors would get kickbacks for helping pass resolutions that allowed a company to administer a federal grant. Prosecutors said Forte and Marono went outside the city, arranging meetings and collecting thousands of dollars for the introductions. "Forte and Marono introduced the UCEs (agents) to Public Official A as a potential participant and... facilitated the introduction of the UCEs (agents) to Public Official B. Like public official A, Public Official B did not participate in the scheme," read the federal documents. The two unidentified public officials didn't buy into the FBI sting operation, but prosecutors say Marono would use the position to introduce the undercover agents to other public officials. According to the documents, Forte and Marono set up a payment plan for the scheme where they would receive 12 percent of the money disbursed for the first 10 cities, followed by an increase to 25 percent for any additional cities. Mayors Steven Bateman of Homestead and Otis Wallace of Florida City were on the list of 19 people that the magistrate judge ordered Marono not to have contact with, but it is still unclear how they had been involved. Efforts to reach out to those mayors were unreturned Thursday evening. If convicted on extortion charges, Marono could end up behind bars for 20 years.